Microsoft Outlook store information in outlook data files known as PST and OST files. When we configure MS Outlook with POP or IMAP email account a PST file is automatically created onto your system at the hidden file location. You can also customize the location where the PST file is going to save on your system while configuring an email account. All data outlook data like email, calendars, contacts, tasks etc. will directly store into PST file. Thus, PST file is an essential data file for continuing the proper functioning of MS outlook. Now here we are going to discuss possible reasons behind “outlook.pst file is in use and could not be accessed” error and provide you with reliable and effective solutions. You haven’t closed outlook properly that cause’s outlook.exe process running at backend. When you performed backup of a large PST file and it is still running as it takes large amount of time. Due to Software conflicts that is integrated with Outlook application like, Lync, Communicator or Ucmapi.exe. PST files may be engaged with scanning process by antivirus or antispyware program that will also lead to PST is in use and could not be accessed error. The error due to schedule backup of outlook data files can be resolved by rescheduling backup process when you are not using MS outlook or you may exclude the outlook data file (.pst) from being backed up. 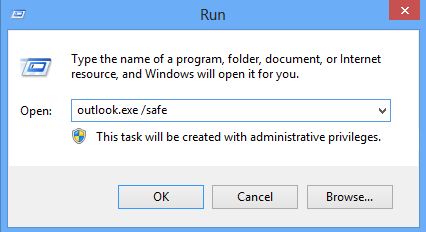 Click Start > Run and enter this command “outlook.exe /safe”. Ensure that there is space between / and safe. 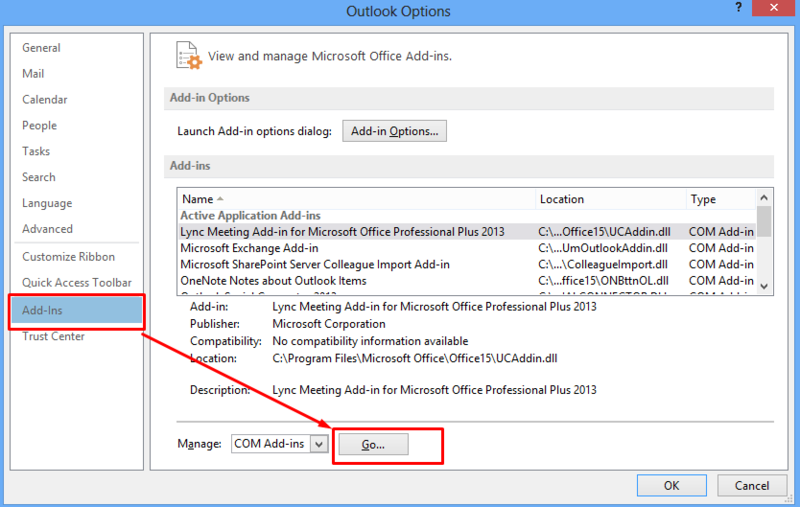 If your Outlook starts without any error then there must be some issue related to Add-ins. Disable add-ins one by one until you starts outlook without any error. Click File > Option > Add-ins. Go to Mange add-ins and click Go button. Uncheck add-ins one by one until you find the defaulter add-ins. Remove It as soon as you get it. Run MS outlook Inbox repair tool scanpst.exe if you get to know that the PST file is damaged or corrupted due to virus attack or due huge PST file size. MS can handle minor corruption issues by executing scanpst.exe. But this process often leads data loss as bad header files are get deleted. So always backed up your crucial data before executing this repair. Many users still face “PST File Cannot be Accessed” error even after using above mentioned solutions. The reason is Outlook PST files are severely damaged and affecting the data integrity. In that case an automated solution to recover PST file is highly preferred as it is the best way to resolve the error.